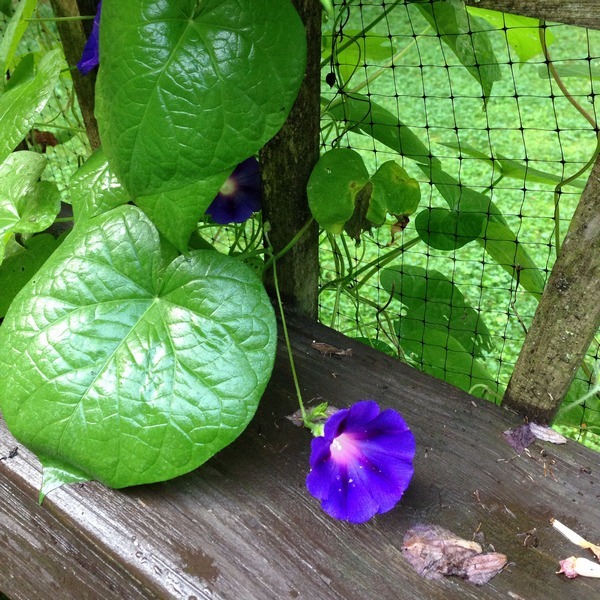 Each morning as I leave for my walk, I check out what morning glories are blooming. As the flowers only last one day, each morning the garden looks different. Yesterday morning, I noticed for the first time, the morning glories right outside the kitchen window and how huge the leaves are. How did I miss that all these weeks? 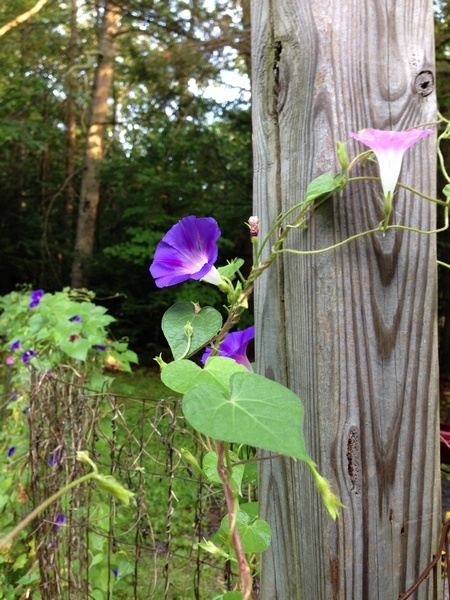 The second shot is of the morning glories climbing up the fence post. They climb everywhere, even up into the lilac bush. 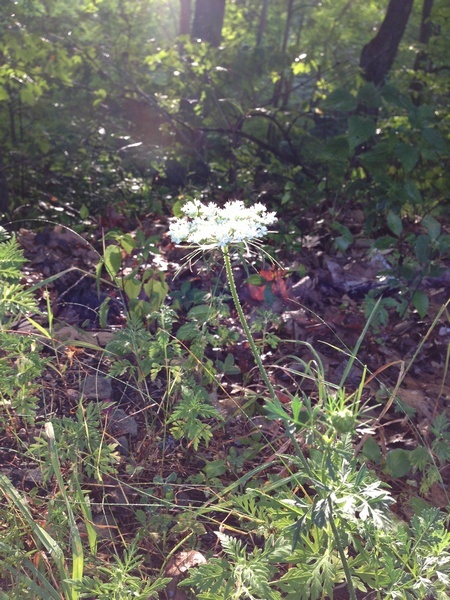 This Queen Anne’s lace flower caught my eye as we were walking because the sun was hitting it just right. The golden hours, an hour after sunrise and an hour before sunset, when the angle of the sun makes every picture magical.